Sometimes you just want a little boldness. Which is what makes our patterned liners and belly bands the perfect match for our modern, simple designs. 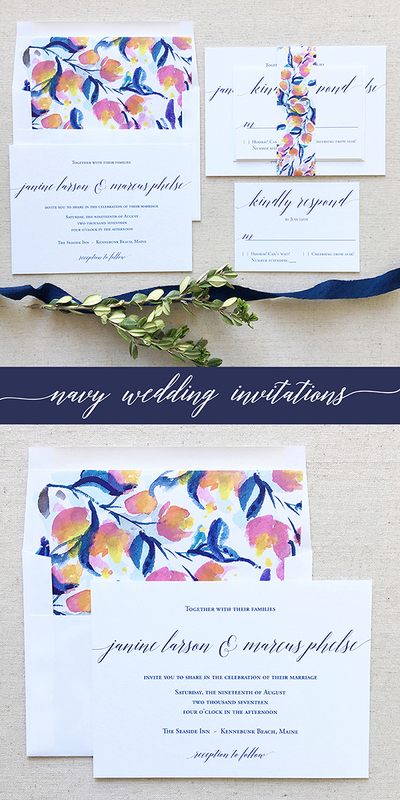 The navy wedding invitation suite shown, our Beyond design, with a floral liner and belly band has the perfect balance. A wedding invitation that will stand the test of time with modern typography and a clean, simple layout. And the liner and belly band give the punch of personality.